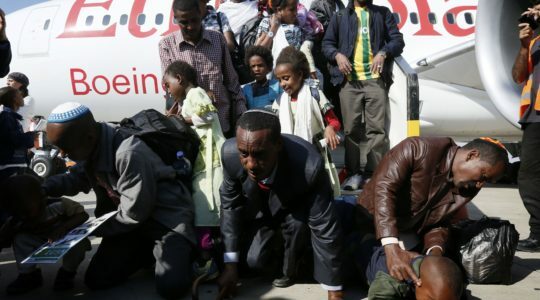 Ethiopian Israelis earn less, and drop out of the army more, than the average Israeli. “We didn’t dream of coming here and being at the bottom of the ladder,” an Ethiopian Knesset member says. With Israeli-Palestinian talks set to begin, a poll shows that a majority of Israelis would support a final-status agreement with the Palestinian Authority. A bill that would place museums in West Bank settlements under Israeli law passed its preliminary reading.